These versatile pans have been constructed from high quality black iron, meaning they are not only incredibly durable but also suitable for any heat source. Black iron will retain the heat for a longer period of time that any other material and will distribute it evenly for the perfect finish. 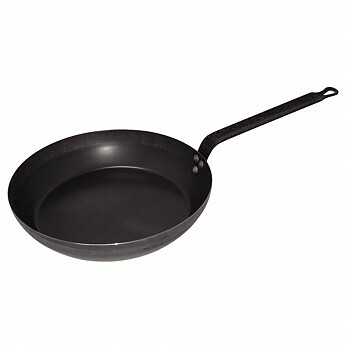 The pan must be seasoned before use to ensure the best cooking results. Seasoning necessary on first use.